There won’t be a second season of The Wil Wheaton Project on Syfy. The summer comedy series has been cancelled after 12 episodes. Actor/host Wil Wheaton broke the news on his blog, writing that he got the bad news while on his way home from a walk on the beach with his wife. I’m grateful, though, to the people at Syfy who believed in us and gave us a chance to succeed. I’m grateful for the creative support we got, and I’m grateful that I got to spend my summer working with wonderful, talented, funny people. I grew a lot of levels in comedy writing over the last 18 weeks or so, and I owe it all to the amazing people I got to work with. I had made a decision the day we wrapped the show, that I was going to be okay whether Syfy picked us up, or not. I can honestly say that I am really okay with where I am today. I’m looking forward to doing Tabletop and our upcoming RPG show. I’m looking forward to writing more stories, getting excited, and making more things. The weekly comedy series was announced in April, debuted on May 27th, and ran through August 12th. What do you think? 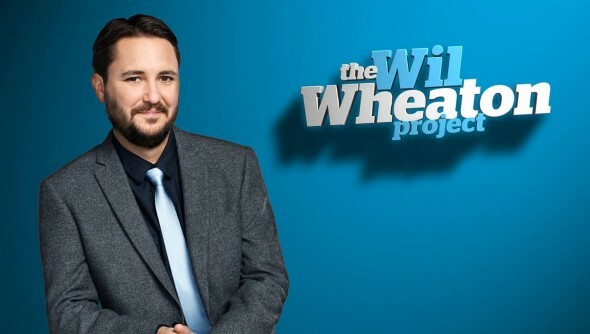 Did you watch The Wil Wheaton Project? Are you sorry that there won’t be a second season? More about: The Wil Wheaton Project, The Wil Wheaton Project: canceled or renewed? Booooo………… it was a weekly family date for my family. Totally bummed, this was a clever and witty show. For those of us who are true Sci-Fi fans it hit a chord that we all could appreciate. I loved the show. Really bummed that it was cancelled. We were looking forward to season 2. Too bad Comedy Central wouldn’t pick the show up. I watched the show and i thought it was great. It was no better or worse than Tosh/Talk Soup, just a nerdier version on a smaller network with a smaller audience to pull from. Like every other show, its not necessarily about the content and purely about how many people tune in. I agree with the above commenter. I liked the show. I felt he was relatable and cute. But the show did contain a ton of Game of Thrones spoilers and with a 8 month old we never got to watch the show until the following Saturday after. We did DVR Wil’s show but by the time we got around to watching it we just didnt care any more. He’s a good guy. Wish him nothing but good luck and fortune. I watched the first couple and loved it. I only stopped watching because I was afraid I would see something that would be a spoiler for shows I record to watch later. Some much later as in after the season has ended. Wish there was a way for shows like this to give spoiler warnings, but that would disrupt the flow of them I suppose. No loss there. We sat thru the first one and even gave him another chance and “tried” to sit thru the second episode… It was just awful.